• Only one image per entrant per contest is allowed. If we receive more than one entry, we will automatically chose the first image received. • The size of the photo submitted for entry should be no less than 600 x 800 pixels. It may be larger, but not over 800kb in size. The ideal size/ratio is 600w x 800h. • The image should interpret the contest theme. • The photo does not need to be exclusive to this competition. It can be taken on your phone in the salon, previously published, or entered in another competition with the exception that we do not accept Contessa entry photos that have been or will be entered in the same year. 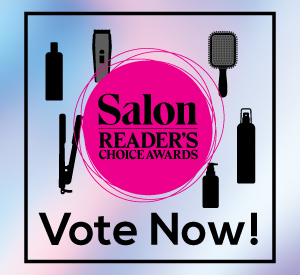 You may submit old Contessa entries that weren’t previously published in Salon Magazine. • If the photo appears blurry, pixelated, too dark, or any other elements are obscuring the image, it may be disqualified. • Any type or writing on the image is not permitted. If it cannot easily be cropped out, the entry will be disqualified. • Only a single image will be accepted. Placing two or more photos into one file is not allowed, and will be disqualified. • A high res (image size: over 1,000 pixels width and height, 300 dpi) version of your entry must be available for publication or your winning image may not appear in Salon Magazine.